Florida Sunshine awaits you. 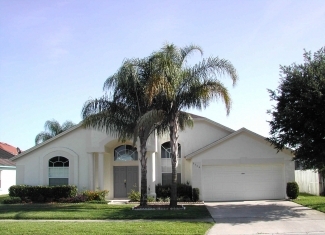 Our upscale, spacious home is located 5 miles from Disney World. 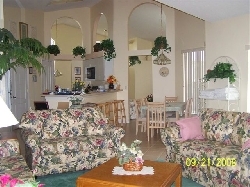 Relax and enjoy the fully furnished home equipped with everything you need to enjoy your vacation in Florida. Have fun enjoying the parks of Universal Studios, Sea World, Disney. Explore the many shows from Arabian Nights, Splendid China, Murder Mystery,and many others. Shop till you drop in all the fantastic stores and factory outlet malls. 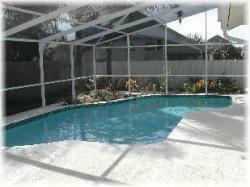 Or relax and sun bathe by the heated pool in the warm Florida sun. Have an outdoor lunch in the covered lanai using our outdoor grill or BBQ located on the garden patio. Enjoy our gardens with bright flowers while floating in the south facing pool. 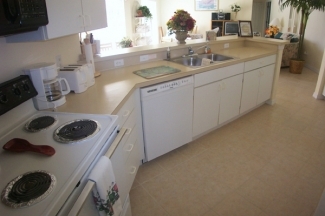 Or have guests over for a gourmet dinner prepared in fully equipped kitchen. Our Family room is a great place to have conversations planning your activities or sipping a glass of wine while reading your favorite novel. 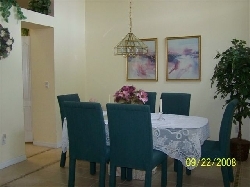 The family room has a games table with board games for the entire family. We have satellite TV, VCR, DVD player and even some movies to watch. 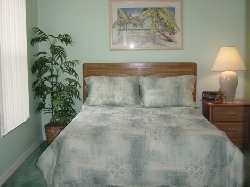 The bedrooms are bright and comfortable. The Master Bedroom has an ensuite with his and hers sinks, shower, and garden tub, separate toilet room and walk-in closet. 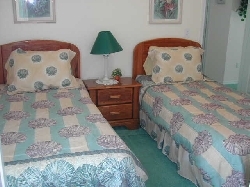 Bedroom 2 has a double bed, bedroom 3 has two twin beds, with a shared bathroom between them. 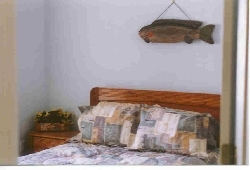 Bedroom 4 has a double bed close to another bathroom. If you would like more information about our home please call or write. We would be pleased to hear from you. 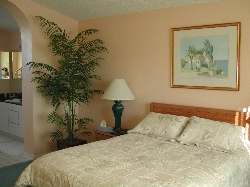 For stays of less than 5 nights additional clean fee of $85.00 will be charged. 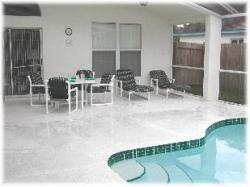 Florida tax extra 13% on rental rate.